Enjoy the bustle of Ho-Chi-Minh City (Saigon), the peace of the Mekong Delta and then 7 days on the beach at Phan Thiet or Phu Quoc. 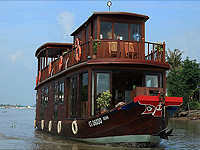 Includes 2 night cruise in the Mekong Delta! Arriving at Ho Chi Minh City Airport, our guide and driver will be waiting at the airport to welcome you and transfer you to your hotel. The rest of the day is at leisure for you to relax, then in the evening, we will call for you and take you for dinner at a local restaurant. 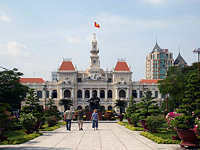 Our full day city tour today includes a tour of The Reunification Palace (former Presidential Palace), Post Office, Notre Dame Cathedral, Lam Son Square, Ben Thanh Market, Thien Hau pagoda, The Museum of HCM Campaign, China Town (Cholon) and Binh Tay Market etc. In the morning we pick you up at your hotel in Saigon and take you to Can Tho or Cai Be where you board your wooden river cruise vessel around noon. After a refreshing welcome drink we show you our on-board facilities and your cosy cabin. As lunch is served, the boat starts cruising. Sit back and watch the fantastic scenery and the daily life of the Mekong people. You will visit the forest of Xeo Quyt on the first day. During the Vietnam war this jungle was the headquarters of the local partisans. During rainy season when the water levels are high enough you can explore the labyrinth by rowing sampan. In the afternoon you will visit the small and charming town of Sa Dec.
Today we visit a morning market in Sa Dec. If you like you can go shopping with the chef and take part in a cooking lesson on board. 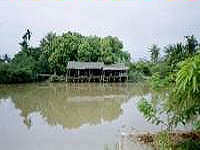 Once the boat resumes its journey, you travel through small channels towards Can Tho (or Cai Be). In the afternoon there is the option of a land excursion and visit of a small village, a stroll through orchards, or a cooking class. After breakfast and an early start through the glorious morning atmosphere on the Mekong river we will visit another floating market. Be sure not to miss the great photo opportunities for authentic snapshots of the Mekong people and their life. Take another sampan side trip right into the lush rural landscape, the fertile fields, the exuberant green. Then it’s time to pack up and return to the pier from which we started. The Mekong Delta cruise ends at around 11.00 - 11.30h on the pier. After lunch or brunch, we drive back to your hotel in HCMC. A free day at leisure for exploration or shopping. After breakfast, we depart HCMC for the 4 hour drive through cities, villages & countryside to the fishing village of Phan Thiet, famous for producing fish sauce and which is the best beach resort in the South with 21 km long sandy beaches and a peaceful & natural environment. Transfer to beach resort for stay of 7 nights. 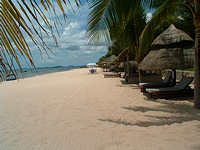 Alternatively, a short flight will take you to the island of Phu Quoc near the Cambodian Border for your beach stay. Return to HCMC by road (Phan Thiet) or flight (Phu Quoc) in time to connect with your flight departing Vietnam. The best of both worlds: exciting Chi Minh City and the peace of the beach at Phan Thiet or Phu Quoc.